Help Scout gets major brownie points for "eating their own dog food." They are all about the Customer Experience, and they live up to this philosophy by delivering not only a very easy to use and modern product, but answering support inquiries right away (and thoroughly), and publishing an extremely helpful and insightful industry blog. So when you buy into Help Scout, you're not just getting a great software product, but also getting a great organization running behind it. Aside from that, I love how Help Scout delivers a great customer experience to our customers. It gets out of the way. Customers are not aware that we use it, in fact, they believe they are emailing directly with me. Transactions are fast and lightweight, there are not as many bells and whistles to complicate the process and slow down the support workflow. The interface is extremely good. It's fast, it's smart and it's easy to use. In one week we dominated it completely, with every function. It's very intuitive, which helped us onboard the hole team very quickly. Trying to group tickets is a bit unflexible. You can create folders which can be part of a workflow (automatic trigger) but you can't create a folder based on tags. This needs to be improved because there's a need to create smarter segments and mix them. Help Scout is a way better looking product. In the last two years they have stepped up their game. I hope to use their live chat soon. 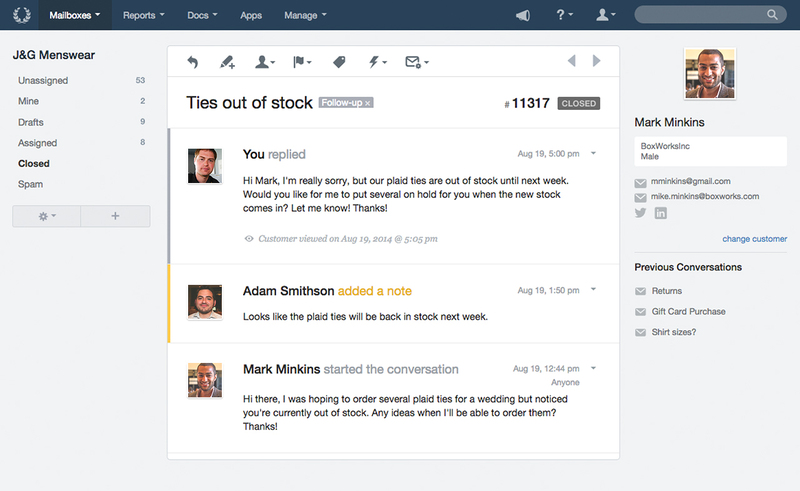 Zendesk is clunky and the user interface is terrible. Our customer satisfaction and internal employee satisfaction have gone up based on the simplicity and ease of use with this platform.